Formula contains cavity fighting Neem Bark & Xylitol!!! Comments: Just wanted to drop you a note and say how thrilled I am with your Tooth Chips soap for teeth. I have been brushing with it for a few days now and I am really impressed with how clean and healthy my whole mouth feels. My spouse thinks I am insane for brushing my teeth with soap but I know now that I will never go back to regular toothpaste again. Since I am a Psoriatic Arthritis patient I have to take drugs that suppress my immune system to manage my condition. As a result oral infections are a problem and my gums bleed all of the time. Well this morning I did not have a bloody toothbrush and when I inspected my gums they look like they are healing nicely and they feel great. I chose the Neem bark to help with this and it looks like it is working. I have also noticed that when I wake up in the morning I do not have terrible morning breath and my mouth and tongue do not feel like they are coated with shag carpet. I have a dental appointment in about a month so we will see if they notice anything different when I go in and I will update you on the results. 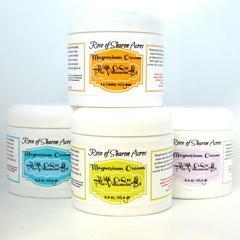 Blessings to you all for providing such a wonderful product, you have a customer for life. I recently ran out of my tooth chips and kept forgetting to re-order. When I finally did, I found that there was a new product with neem and fructose together. I had never tried any of the xylitol chips, and I had read that neem is an ancient tooth care product. It all sounded great to me, so I tried it. The peppermint flavor was delicious! There were no strong flavors, it left no aftertaste, and it felt so refreshing. I would recommend it to all the tooth chip fans! We were previously using a similar product that tasted very soapy and left my mouth feeling raw and sensitive to food and beverage. Not with Tooth Chips! I love it. I especially love that it is healthy. Our family has made a change to a healthier lifestyle and this was the perfect fit. Thank you so much! 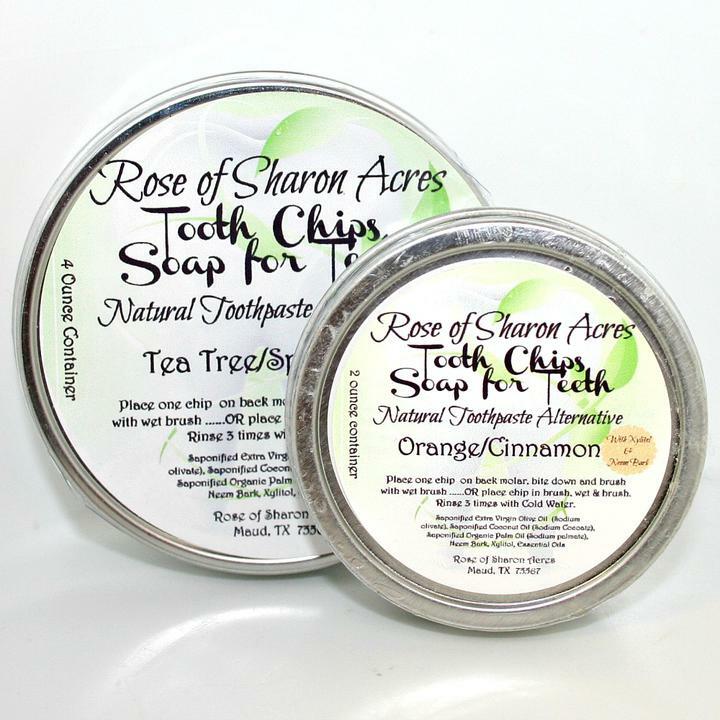 Monica I started using your Tooth Chips a little while back and the reason I did so was because of the reviews on here! Lack of Insurance had controlled my visits to the Dentist and I was afraid it was going to be a horrible visit. When I went they were amazed at how great my gums looked because I had told them how long it had been since I went to the Dentist. They said my gums should not be so shiny and pink & I only had two caviites YAY! I will use my Tooth Chips ALWAYS! Thank You Monica for a Great Product! The soap chips are awesome, and the price is great! The big pieces take three brushings to use up, but with each brushing, my teeth get cleaner! What a great way to start and end each day - with very clean teeth! I am very new to tooth chips, I didn't know what to make of it at first. I was expecting the soap taste already but the peppermint was a great addition. I definitely felt the difference between regular tooth paste and the tooth chips. My teeth not only felt clean (and not slimy) but also looked really clean too. Will be trying the other tooth chip products! I have been using the cinnamon/orange tooth chips for a while and I absolutely LOVE them. My mouth feels clean and I no longer experience my gums and lips burning as I did with regular toothpaste. The tins last a very long time and I will NEVER use regular toothpaste again. I have been telling everyone I know about tooth chips. 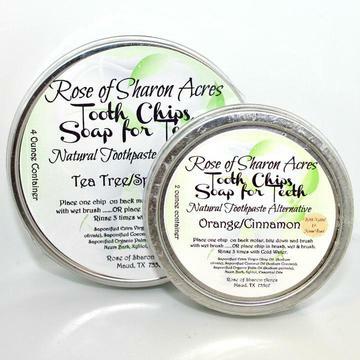 Thanks Rose of Sharon Acres for such an awesome product.